Modernise your clothing collection by adding this kurta and palazzo set brought to you by Varanga. It has been tailored with good quality cotton fabric that offers optimum comfort while also ensuring that it is easy to maintain. 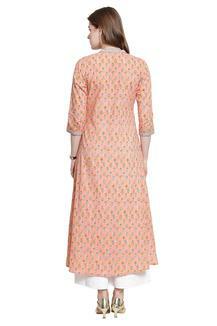 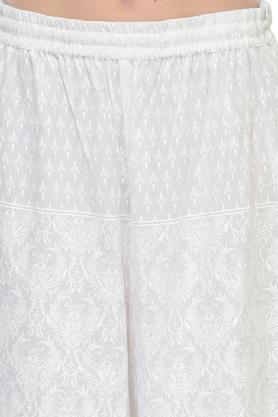 Besides, it features a print pattern which along with the mandarin collar and three quarter sleeves render it trendy. 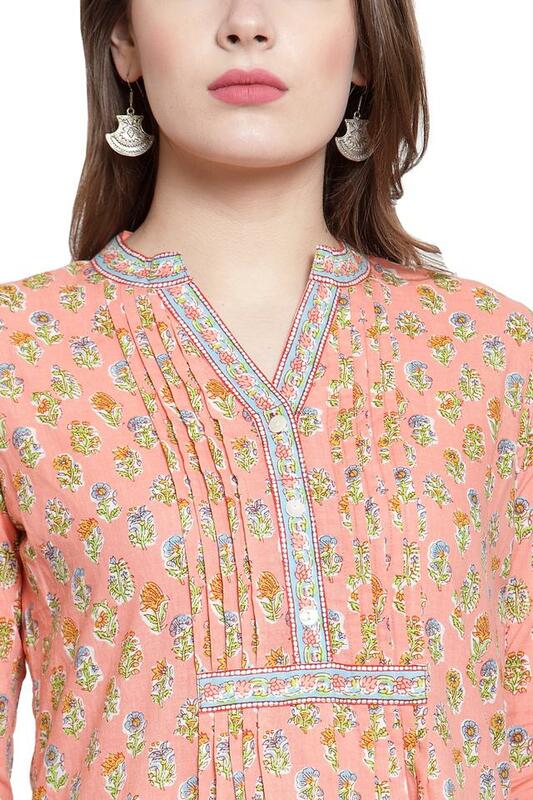 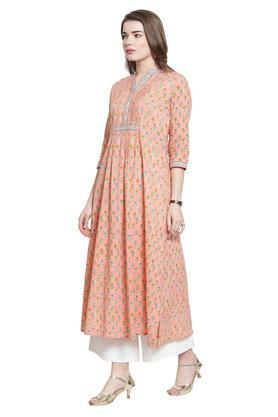 Bring out the style icon in you by wearing this kurta and palazzo set, which features a printed pattern. 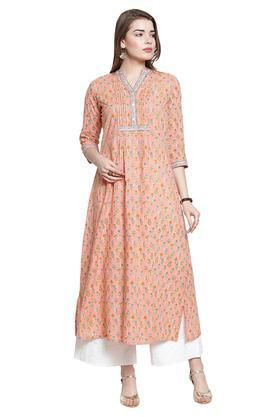 You can team it with a pair of platform sandals for any casual occasion.